As Dinosaur Jr and Louis Berry are announced to play Liverpool Music Week 2016 Getintothis’ Zack Jones has all the details. All you have to do is look at Billy Corgan to see why you should never put your hope into your idols. The once great weird man of 90’s noise is now chunnering on about Trump and the government trying to take away his guns. It’s easy to see why inactivity is so preferred as Sonic Youth and Pixies disappear from the limelight perhaps for ever, keeping their discographies (nearly) untarnished. The harsh reality is if you release eleven albums, at least one of them isn’t going to be great. Or in fact, most of them. There’s a saying that punk bands should break up after their first record because that’s the only one that matters. As a reposnse however, it would be a sad world without Dinosaur Jr‘s eleventh album ‘Give a Glimpse of What Yer Not‘. J Macis is back. Yes he’s grey, yes he doesn’t really move about any more, and yes he’s kind of been playing the same type of solo’s since ’83. But why change a perfect formula? Our Liverpool Music Week 2016 coverage is here! Dinosaur Jr’s perfect blend of heavy edge and soft melody makes them THE surviving band from the 90’s alt rock movement. Their eleventh album would be incredible if it was their second or third, but eleventh?! Let’s honestly think about how many bands survive (and maintain artistic integrity) beyond their third and realise what an achievement this is. It’s why everyone from old timers like Black Flag’s Henry Rollins to the new wave of kids in Fidlar and Waaves quote them as an influence. 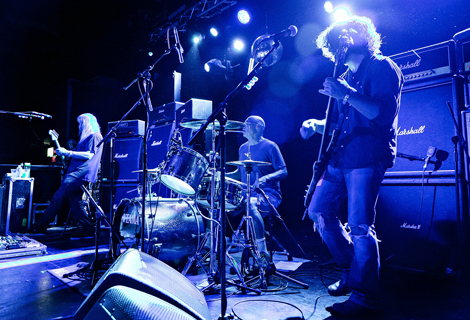 Dinosaur Jr.’s fuzzy melodic rock n roll has been one of the longest standing influences in the scene to date. So as rumors started to fly that they were to take to the Arts Club‘s intimate stage (again) there was a quiet hysteria across the city. The Liverpool Music Week logo was clearly printed on posters that had made it around town, but no acknowledgement of the show online or on ticketing sites. Is this the most hyped show of the year? Very possibly. Is this going to be the busiest? Possibly. But does none of that matter because Dinosaur Jr. are always great anyway? Yes, of course. Not only are Dinosaur Jr heading to town but Liverpool’s own Louis Berry has also been announced to play at Leaf on October 31. GIT Award One to Watch winner from 2015, Berry’s dark and compelling songs always provide a buzz and a sold-out homecoming gig is a guarantee. 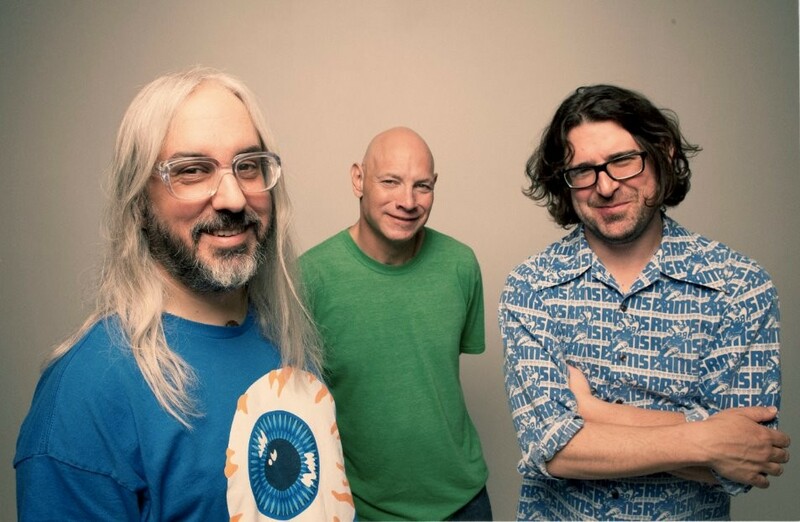 Dinosaur Jr. play Liverpool’s Art’s Club on October 27 as part of Liverpool Music Week. Update: Louis Berry has since released new single ‘Restless’.